Video: Catherine Steiner-Adair on MSNBC's Morning Joe. Dr. Catherine Steiner-Adair is an internationally recognized clinical psychologist, school consultant, and author. 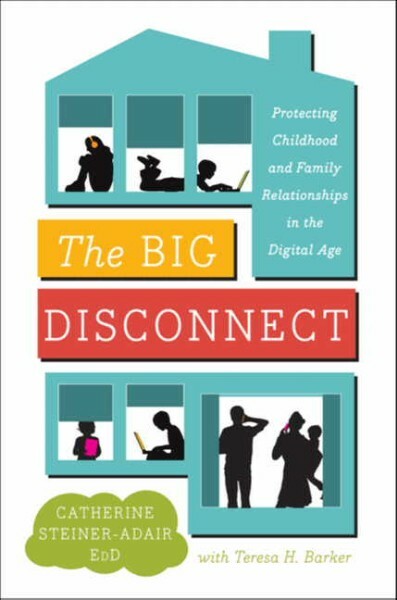 In her book, The Big Disconnect: Protecting Childhood and Family Relationships in the Digital Age (Harper), Dr. Steiner-Adair examines ways in which technology and media are putting our children at risk at every stage of development, while challenging what it means to be a family. In her book, as in her keynote presentations, she shares real-life stories from her clinical practice, from her work with educators and parents, and from extensive interviews with students from pre-school through high school and beyond. Easy access to the Internet and social media has erased the boundaries that protect children from the unsavory aspects of adult life, and Steiner-Adair helps her audiences to understand the psychological risks and fallout that children are experiencing, often with their parents unaware. A highly sought after speaker, Dr. Steiner-Adair's warmth, humor, and compassionate understanding of children and the adults who care about them makes for an extremely compelling presentation. Her ability to weave research and real stories leaves her audiences enlightened and emotionally equipped with new strategies to handle parenting in the digital age. While discussing how chronic technological distractions can have deep and lasting effects on children and parents alike, Dr. Steiner-Adair proves that children need parents and educators to provide what technology cannot: close, meaningful interactions with the adults in their lives. She gives her audiences the skills to deconstruct unhealthy messages from online culture and create space for nourishing deep attention, creativity, empathy, and healthy relationships. Dr. Steiner-Adair works with school heads, boards, faculty, students, and parents, with consultations that can range from an evening talk, to a one-day visit, or, as with many schools, an ongoing relationship that spans years. She is often invited to present to health professionals, PTAs, synagogues and clergy groups, non-profit organizations, corporate retreats, and fundraising events. As a resource to the media, Dr. Steiner-Adair has appeared on The Today Show, Good Morning America, The Discovery Channel, CNN, PBS, and NPR, and has been quoted in numerous newspapers and magazines. 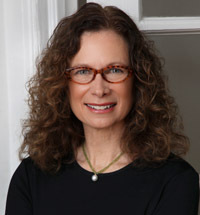 Over the past 30 years, Dr. Steiner-Adair has worked in more than 350 independent schools throughout the United States and abroad, leading workshops for administrators, teachers, and parents on a wide range of topics related to strengthening children's social and emotional intelligence and resilience. These include challenging unhealthy cultural values, helping schools develop curricula and programs designed to increase children's confidence and competence as emerging leaders, and nourishing healthy relationships in the age of technology. Dr. Steiner-Adair's long standing interest in cultural values that undermine children's healthy development began in her early years as a doctoral student at Harvard, and while she served as a school psychologist at Phillips Academy Andover. Her award-winning research lead to the acclaimed middle school program "Full of Ourselves: A Wellness Program to Advance Girl Power, Health, and Leadership" -- a social and emotional curricula aimed at giving girls tools to resist the culture of body preoccupation and disordered eating -- the first successful middle school based primary prevention program of its kind. Dr. Steiner-Adair has a private practice in Chestnut Hill, MA, where she works with children, adults, couples, and families. She is a Clinical Instructor in the Department of Psychiatry at Harvard Medical School and an Associate Psychologist at McLean Hospital. She lives outside of Boston with her husband, Fred, and enjoys family life in the digital age with a son and a daughter. "Catherine Steiner-Adair is a unique combination of brilliance and compassion. There is no one better at decoding the challenges that contemporary culture presents to the formation of a healthy childhood and a fulfilling family life - and in helping parents and kids develop the tools needed to shape a strong foundation for growing up in these times. She has become a tremendous resource for the Hathaway Brown community, and someone whose counsel we trust and treasure." "I love to hear Catherine Steiner-Adair present at a workshop or as a keynote speaker. She has an uncanny ability to take ideas and thoughts that educators are mulling over -- and tie them to together in important and meaningful ways. Leaving a workshop led by Catherine always leads me to improved classroom practice and engaging dialogue with colleagues about the importance of our work. Catherine has the ability to validate and praise our work - as parents and educators - while stretching our thinking and encouraging new ways to turn tricky situations into powerful learning moments. She's a gift to educators and parents." "Dr. Steiner-Adair's presentation was refreshing and informative as parents seek to preserve and strengthen family relationships in a digital world. Many parents told me her presentation was the best they have heard in years because of her warmth, humor and engaging style...Dr. Steiner-Adair's presentation is packed with authentic stories and helpful advice for parents' tool kits as they seek to sustain the modern family in the 21st Century." "Your time here was wonderful in so many ways - you provided the faculty with much to think about and I can assure you that I have heard many times in various settings over the last few weeks "As Catherine said..." And then parents..... many of them went out of their way the next day to stop by and thank me for bringing you here. Many thanks for your time here with us; your ability to move from group to group without missing a step or a cue about what the group needed was amazing! But, I'm saving the best for last - the 9th grade girls were asked to provide written feedback to their day, and you were the #1 highlight of the day for them - a number of them begging, 'please bring her back every year!'" "I have never had so many faculty members register their positive responses to a consultant's presence as have come to me to speak of your visit yesterday. It seems that you've touched a place in each of us that resonates with our questions about who these children are today and how we can work with them to provide guidance in their development as self-aware and compassionate human beings. Several have commented on their appreciation that you referenced trends and pressures on not only our young children but also the older adolescent population that they encounter now and will become eventually." "Dr. Catherine Steiner-Adair can reach any audience. Through her years of working with a myriad of adolescents and their families, she knows how our young people think and develop. Her obvious love of children and awareness of social pressures on them combine to make her a superb educational leader. Her work at our school with faculty, parents, and students has allowed us to become an even better school community. She is a trusted mentor and look forward to continuing to work with her in the years to come." "Technology is changing our world and the world of our children at a blistering pace. Every parent struggles with the benefits and limitations of a perpetually plugged in lifestyle. Something doesn't feel quite right and Catherine Steiner-Adair with great wisdom, and compassion for our confusion, helps lead us out of this technological thicket. She is a worthy guide, not simply pointing out stumbling blocks, but helping us find our way around them. A mandatory read for our own sake as well as the sake of our children." "A riveting, hugely important book that every parent will want to read. Filled with gripping anecdotes taken from true life, this book sounds an alarm we all must hearken to if we care about our children--and ourselves. Steiner-Adair shows how we're losing the human connections that are vital to everything that matters in family life, and life in general. But she also shows how easily we can get them back, if we will but commit to doing so. A great book, rooted in massive research, told in vivid, charming, unforgettable narrative, conveying a message of the utmost relevance today." "Never before has it been more clear that the power of technology to transform our children's lives for the better also has the potential to stifle their development at every age and stage. This is a must read for parents and educators. Parents will embrace Steiner-Adair's step-by-step solutions, focused on building deeper and more meaningful family relationships; teachers will better understand the need to manage the double-edged sword of technology as a tool for learning." "In her insightful and compelling new book, Catherine Steiner-Adair reveals how technology and the Internet are fragmenting American families, leaving parents confused and children lonely. Put down your smartphone and read this book! The Big Disconnect will show you how to protect your family from the most corrosive effects of the digital age." "Dr. Catherine Steiner-Adair has her finger on the pulse of the social and emotional challenges kids face in today's 24/7 media culture. Take her insight to heart. As parents, we can help our kids walk the thin line between the perils and possibilities of digital life." "In a book that should be required reading for all parents, Steiner-Adair examines the extraordinarily negative impact of the digital revolution on parents and children... Throughout this highly readable study, Steiner-Adair offers sound and sympathetic advice regarding this unprecedented 'revolution in the living room.'"